To get my head clear! 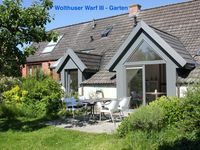 Cozy cottage in Ditzum, large garden, dogs ok! Property 1: To get my head clear! Cozy cottage in Ditzum, large garden, dogs ok! Property 3: Holiday house invites you and your dog to relax! Electricity and gas included! Fishing boat, paddle boat & bikes and fast Wi-Fi included. Property 4: Fishing boat, paddle boat & bikes and fast Wi-Fi included. NEW! REST and nature at Dollart at Fischerort Ditzum, dogs Welcome! Property 26: NEW! REST and nature at Dollart at Fischerort Ditzum, dogs Welcome! Ostfriesland, Southbrookmerland, Great sea, zw. Emden u. Aurich, pets erl. 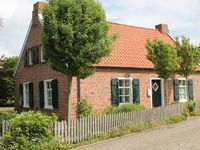 Property 36: Ostfriesland, Southbrookmerland, Great sea, zw. Emden u. Aurich, pets erl. Wonderful, cozy place to stay! I didn&rsquo;t want to leave! It was so nice and comfortable. We ended up cooking in because it was so charming. It was clean, comfortable and we found everything we needed. Owners very nice and helpful. Mit unseren drei Kleinkindern hatten wir hier einen sehr sch&ouml;nen Kurzurlaub. In dem sehr geschmackvoll eingerichteten Haus haben wir uns sehr wohl gef&uuml;hlt. Die positiven Bewertungen kann ich nur best&auml;tigen.